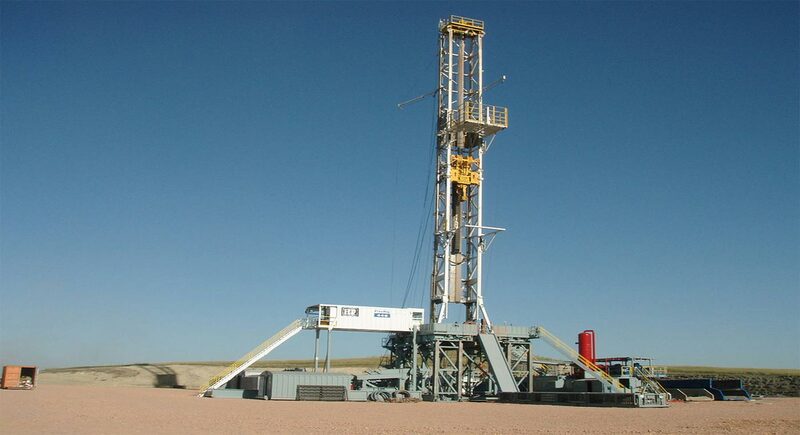 Exploration wells (or wildcat wells) are drilled for exploration purposes in new areas. The location of the exploration well is determined by geologists. Appraisal wells are those drilled to assess the characteristics of a proven petroleum reserve such as flow rate. Development or production wells are drilled for the production of oil or gas in fields of proven economic and recoverable oil or gas reserves. Relief wells are drilled to stop the flow from a reservoir when a production well has experienced a blowout. An injection well is drilled to enable petroleum engineers to inject steam, carbon dioxide and other substances into an oil producing unit so as to maintain reservoir pressure or to lower the viscosity of the oil, allowing it to flow into a nearby well. Boring - a drill bit and pipe are used to create a hole vertically into the ground. ​Sometimes, drilling operations cannot be completed directly above an oil or gas reservoir, for example, when reserves are situated under residential areas. Fortunately, a process called directional drilling can be done to bore a well at an angle. This process is done by boring a vertical well and then angling it towards the reservoir. Circulation - drilling mud is circulated into the hole and back to the surface for various functions including the removal of rock cuttings from the hole and the maintenance of working temperatures and pressures. Casing - once the hole is at the desired depth, the well requires a cement casing to prevent collapse. Completion - after a well has been cased, it needs to be readied for production. Small holes called perforations are made in the portion of the casing which passed through the production zone, to provide a path for the oil or gas to flow. Production - this is the phase of the well's life where it actually produces oil and/or gas. Abandonment - when a well has reached the end of its useful life (this is usually determined by economics), it is plugged and abandoned to protect the surrounding environment. Drilling is a relatively well-understood technological process but no two wells are the same and therefore risk management is important. The largest mainstream concern with drilling is the risk of blowouts, which is the uncontrolled release of oil and natural gas from a well due to issues with pressure management. With modern technology blowouts are preventable. However a high level of diligence is required by operators and regulators to ensure this does not happen. In addition to this, there are a wide array of drilling activities that can cause adverse environmental impacts. For example, ground clearing can have adverse effects on the ecological surroundings. Air quality and waste management from construction and during drilling can be an issue. The increase and vehicle and pedestrian traffic also creates an impact on the local environment Tribal Energy and Environmental Information - Office of Indian Energy and Economic Development. “Oil and Gas Drilling/Development Impacts.” http://teeic.indianaffairs.gov/er/oilgas/impact/drilldev/index.htm Tribal Energy and Environmental Information - Office of Indian Energy and Economic Development. “Oil and Gas Drilling/Development Impacts.” http://teeic.indianaffairs.gov/er/oilgas/impact/drilldev/index.htm Tribal Energy and Environmental Information - Office of Indian Energy and Economic Development. “Oil and Gas Drilling/Development Impacts.” http://teeic.indianaffairs.gov/er/oilgas/impact/drilldev/index.htm Tribal Energy and Environmental Information - Office of Indian Energy and Economic Development. “Oil and Gas Drilling/Development Impacts.” http://teeic.indianaffairs.gov/er/oilgas/impact/drilldev/index.htm . Sorry, we do not yet have a video specifically for Drilling. We are adding new videos to StudentEnergy.org weekly, but in the meantime check out these videos on Oil and Natural Gas.